THE smile of star netballer Laura Geitz is a popular selling point for the image of the Queensland Mission Firebirds, but Central Queenslanders got a chance at the weekend to see for themselves that her charm is not reserved for when cameras are focused on her. 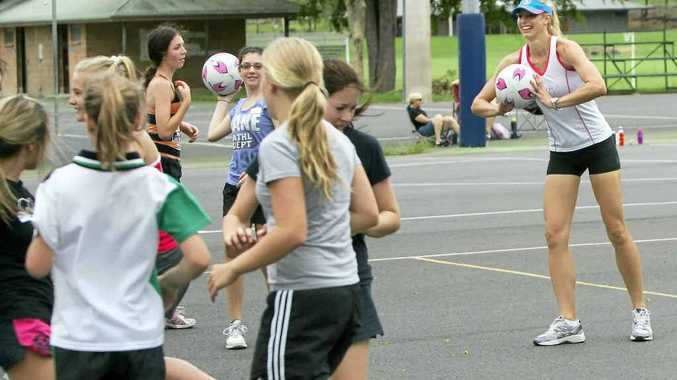 Geitz was at Rockhampton's Jardine Park netball courts on Saturday morning and then at Yeppoon during the afternoon to conduct coaching clinics for children aged between eight and 16 years. "Country girls are great, I love it (coaching)," Geitz said. "I grew up in the country and it can be hard to get recognition." 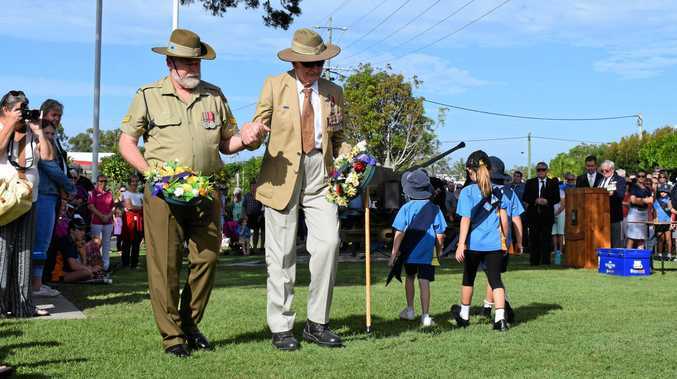 As expected, the kids turned out in droves at both venues but with the professional approach of Geitz and the assistance of experienced local helpers all went well. As Firebirds vice-captain said the team has received a lot of support from the public of Central and North Queensland and her clinics are one way to recognise that support. The afternoon session was at Yeppoon's Cordingley St facility and Geitz said she was very impressed with the indoor venue. "I think we (Firebirds) would train on this court," she said. The Firebirds won the ANZ Championship this year, going through the season undefeated. However, Geitz expects 2012 to be a tougher challenge ith opponents having had time to analyse the strengths and weaknesses of the Firebirds squad. "It's going to be extremely tough," she said. "Every team will be all out to beat us." "We can't be complacent as we will need to step up to another level." Training for the Firebirds will begin on January 15 but Geitz said she has been keeping fit. "It is getting to be full-time," she said. Although only 24 years of age, Geitz has been playing for the national team since 2008, helping Australia to victory in the World Championship earlier this year. She was also part of the team that collected a silver medal at the 2010 Commonwealth Games in Delhi after being edged out by New Zealand in the decider. The Silver Ferns regularly challenge the Diamonds but Geitz rates a player from one of the "lesser" playing nations as her most formidable opponent. "Romelda Aiken," she said without hesitation. Geitz's Firebirds teammate represents Jamaica, a country noted for its physical approach to the game. "I like it, it's a challenge," Geitz said. "They are extremely athletic. "It is tough but that is why we play competitive sport." While the end of her playing days is a long way off, Geitz ruled out coaching as a career. "I like coaching the young girls," she beamed, "but I don't think I'd like coaching people like us (Firebirds)." Country girls are great, I love it (coaching).